CarProof’s new CEO, Ed Woiteshek, is a man with a lot on his to-do list. The company has new products coming down the pipe and has expanded its staff from 60 to 110 in recent months to make sure those products are effective and sell. 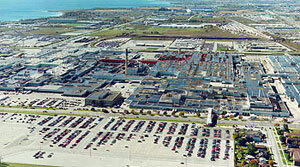 Add to that the aspirations the London, Ont.–based company has in terms of expanding verticals and it is clear he has a lot to plan for. Since taking over last fall from now CarProof chairman Paul Antony, Woiteshek is the man who has to see it all gets done. Still, he wants to look ahead five to 10 years, even though he admits that sort of planning rarely gets done, no matter how well intentioned the planner. Three years is more realistic. He’s a believer in long-term planning and he’s made the trek from the bright lights of San Francisco to London, Ont., to innovate at CarProof. Woiteshek says the auto retail industry has no choice; it has to innovate or someone else will do it. Since CarProof is a national player and profits from a healthy industry, he says the company wants to pave the way to non-disruptive and profitable change both in and outside the area of vehicle history reports. He says the “burning” issue is the virtual transaction, cars bought online. He likens the transaction to buying a pair of shoes online: if the consumer doesn’t like the purchase, they return it. To overcome the odds against long-term planning, CarProof is pledging $1 million to fund a think-tank called the Transparency Advantage – a channel designed to push the industry to think five to 10 years ahead. 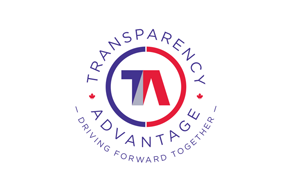 The Transparency Advantage already has 11 founders, including the Trillium Automobile Dealers’ Association, Birchwood Automotive Group, Leggat Auto Group and reps from Kia Canada, GM Financial Canada, Ford Canada, Nissan Finance Canada, Porsche Canada, Toyota and Lexus Financial Services, VW Credit Canada, FCA Canada and Mercedes-Benz Canada. Each founding member can expect a 45-minute interview once a quarter on a variety of topics. The think tank is recruiting members – 1,000 of them – who get to submit ideas for research and access to the research. He stresses there will be no quarterly meetings with quarterly reports bound for the wastebasket. CarProof is recruiting a coordinator and one other person to manage the effort. Woiteshek says he is already getting topics for research and expects that most of the results of the research will be made public. The effort will launch in May with more details to be revealed then. For more information and to request an invitation to join, visit www.transparencyadvantage.org.